A portfolio management approach to business change is required to ensure that organizations prioritize and invest in the changes that contribute most to the strategy. It provides an overview of all change activities including what is in the portfolio, what it is costing, what risks are faced, what progress is being made, and what the impact is on business as usual and the organization’s strategic objectives. Not only Business as Usual prioritization, Management of Portfolio means to effectively decide to invest in the change initiatives that will contribute to deliver strategic objectives. ABOUT THE ARTICLE: “At the Office for National Statistics (ONS) we collect, analyse and publish important statistics such as population, inflation and gross domestic product. This information is used to inform decisions that affect your life and the lives of everyone in the UK. We were aware that some studies indicated a timescale of 12–18 months to implement portfolio management. However, we decided to embark on a 100-day, high-energy approach to implementing the Cabinet Office’s best-practice standard Management of Portfolios (MoP). During the implementation we derived considerable value from enhanced executive portfolio-level information, portfolio prioritization, consistent portfolio investment appraisals and project sequencing. 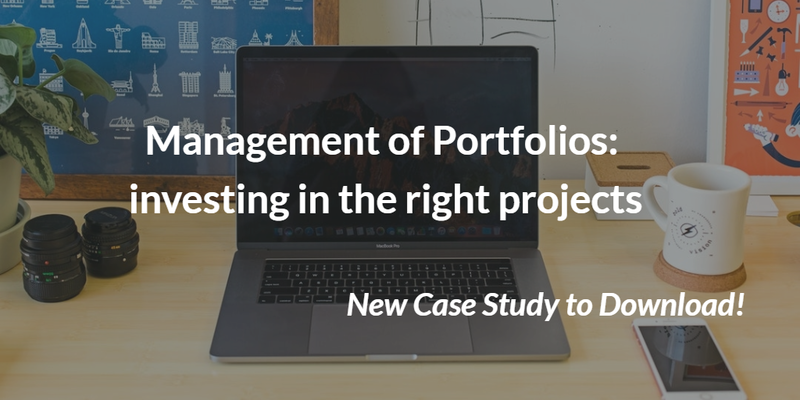 All of this led to a greater understanding of the portfolio delivery landscape and the ability to make more confident investment decisions with an overall increase in collaborative working and organizational energy“. This is how Glen Watson, General Director of the Office for National Statistics explains the decision of implementing MoP. This Case Study follows the steps of the Portfolio implementation highlighting the key phases of this 100 days project: in the terms of the ONS, the path was to “understand where we are” to define “where we want to go”: this includes the analysis of the current situation, the definition of the so called “portfolio cycle”, “portfolio plan” and “portfolio office”. To summarize, at the end of the paper are indicated 8 top tips (in no particular order) which are the things ONS found critically important when implementing portfolio management within 100 days. ABOUT THE AUTHOR: Craig Kilford worked with the Office for National Statistics as Interim Deputy Director of Portfolio Management. As one of the world’s leading portfolio management subject matter experts he is a regular motivational conference speaker, co-author of the Cabinet Office’s Management of Portfolios and author of “Think P3O.” Craig blogs regularly at www.MrPortfolioManagement.com where additional information about this case study is available.